"EZ Coordinator is a great tool to have in my daily client care resource. I coordinate on average 35 closing transactions monthly and EZ Coordinator makes the process efficient by helping me track my property data, buyer and seller side information, transaction notes, and my contractual actions and contingencies daily to ensure that all of my closing are processed smoothly and close on time. My brokers, agents, buyers and sellers are very happy." "I've been using EZ Coordinator for several months now and I love it. It helps me stay on top of timelines and track tasks and documents in my files. I like the flexibility. The programmers have made several development changes I have requested. It helps a lot when they are open to changes that can make a big difference to a person's business. I used the free version for a month or so to give it a test run and see if this system would really make a difference in my efficiency and it does. I'm very happy with the application." "I have been using EZ coordinator and it has made my business much more organized. It is awesome to have complete access to all my transactions from anywhere including my iPad or phone. The thing I like most about EZ over may of the other platforms is how customized I can make it, it is really built for an agent who is in the trenches. I love it so much I am trying to get our entire brokerage switched over!" "Using EZ Coordinator has really made a difference in the number of deals I can manage at once. It's like a personal assistant that reminds me of what I need to do and handles my transactions for me." "Using EZ-Coordinator for your transaction management is putting you just a click away from the online organization that any real estate agent or transaction coordinator could benefit from. The program offers a wide variety of tools to keep track of deadlines, forms and contact information. In a few words I describe the program as fabulous, easy to use and cutting edge - meaning that the staff at EZ-Coordinator are constantly improving the program by taking suggestions from their customers as to what can be made better and/or more useful to their clients. EZ Coordinator is less expensive that some of the other transaction management programs out there, but that doesn't mean less service! Their customer service is by far outstanding and the lower cost makes the program more affordable. 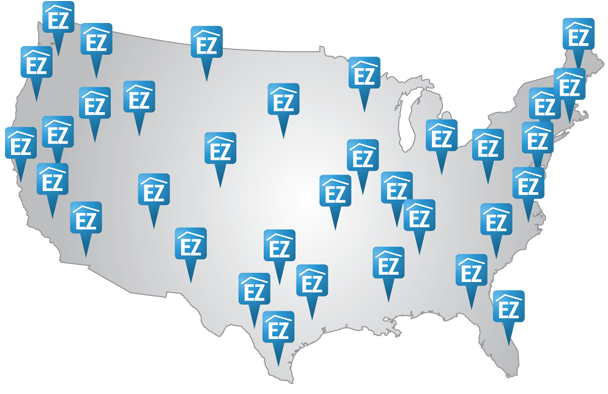 I would definitely recommend EZ coordinator to anyone out there looking to go paperless with their real estate files - this is the program to buy!" * EZ Coordinator is not in an exclusive partnership with any of the below organizations.